Is your network less than agile? Only Riverbed SD-WAN gives you IT agility for the Cloud Era. Is your network not smart enough? Only Riverbed SD-WAN is smart enough to recognize and route traffic automatically. Is your network vulnerable to attack? Only Riverbed SD-WAN offers secure delivery of all your applications. Keep your SD-WAN simple. 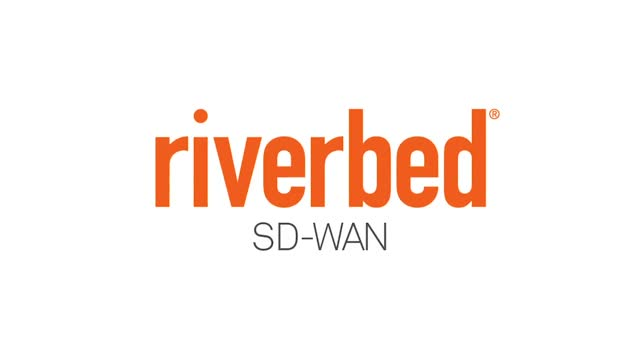 Enjoy SD-WAN capabilities in the cloud with a single click with Riverbed SteelConnect. In the IT event of setting up WAN connectivity to and within the cloud, who takes the gold medal? Will it be the legacy WAN with complex and inflexible configurations or the SD-WAN with one-click cloud deployments and integrations? Find out who wins and who doesn't place in the IT Olympics. In the IT event of setting up multiple remote or branch offices, who will be the champion? Will it be the legacy WAN who has to go to every location physically to configure routers or the SD-WAN who can ship routers out to remote locations and then plug them in for automatic configuration? Who will be standing on the 1st place podium in the IT Olympics? In the IT event of setting up a WAN, who will win? Will it be the legacy WAN using CLI or the SD-WAN with rules-based policy creation and deployment? Watch to see who takes the gold in the IT Olympics! See how lifecycle performance insights can increase DevOps success. Explore key APM use cases and best practices. Improve IT performance across all mobile devices and business-critical apps for complete end-user satisfaction. Your workforce is mobile. They need fast, reliable and secure access to corporate resources from their smartphones and tablets to be productive no matter where business takes them. Cloud technologies are essential for digital business, but they introduce unique challenges for security and control. At the same time, traditional approaches to both security and networking often compromise business needs for agility and fast access to cloud apps and services. Combining SD-WAN with cloud-based security eliminates the complexity and compromise, including the need to backhaul traffic to data centers. The result: a true, cloud-first architecture that delivers optimal user experiences, improved network efficiency, lower TCO, and greater business agility --all while enforcing advanced protection for users. How to Deliver Superior Digital Experiences: Users expect flawless digital experiences when using your apps, irrespective of device or location. To succeed, IT and business stakeholders need digital experience insights to ensure that every business-critical application keeps customers happy and employees productive. This requires a comprehensive Digital Experience Management (DEM) strategy. Organizations who use third-party management tools see a 63% reduction in their Skype for Business operational costs. Nemertes Research has found that operating a Skype for Business platform results in higher than average operational costs for most enterprises. Successful implementation and operation requires the ability to proactively identify performance-related issues before they occur, and to rapidly fix them. If you’re planning to move applications to the cloud, watch this webinar to learn how Asurion, an insurance provider with 280 million customers worldwide, undertook their cloud migration. Join us as Juliet Orgain, Senior Manager of IT at Asurion and Riverbed’s Krish Badrinarayanan walk through the stages of successful cloud adoption. AWS makes it simple to set up cloud-based resources. But do you have secure, high-capacity, high-performance connectivity to and between AWS cloud instances? That’s where Riverbed comes in. Riverbed’s SD-WAN solution enables cloud migration and performance, all managed via quick and simple workflows. Register for the upcoming webinar to experience a fundamentally new approach to networking, with real users sharing their experience in addition to a joint customer, OpenEye, that has saved time and money by utilizing this approach to cloud networking. Windows 10 is intended to deliver a unified user experience across all of the devices in your environment, but planning and executing a smooth migration is complex. To get it right, you must validate that app performance, device health, and end user experience are as good or better after upgrading. Cloud. Elastic computing. Containers. Microservices. Shared Libraries. These technologies are being adopted at almost exponential rates since they greatly simplify application design, development, deployment and manageability. Unfortunately, that surface-level simplicity comes with the price of dramatically more complex under-the-covers behaviors and relationships. Application topology is often transient, nebulous, and unpredictably interrelated with countless other applications and services. This has posed a serious challenge for performance management, since many tools and techniques are still rooted to static physical concepts like tiers, servers, and JVMs. There’s also been an expansion of the consumption of APM data, as LOB management and application owners look for more KPIs to help them improve the bottom line of the business. APM isn’t just a tool for developers and troubleshooters anymore. Join Microsoft and Riverbed for a discussion and demonstration of enhancements to SteelConnect. Announced in April 2016, Riverbed SteelConnect is a revolutionary SD-WAN solution that makes deploying and managing network services very simple and intuitive. SteelConnect is built for the cloud and brings enterprise networking to the cloud era. Join us to see the power of SteelConnect in the Azure environment and discover the business value to your organization. There are many routes you can choose on the journey to Office 365. Some are smooth and well-traveled. Others are backroads fraught with detours and hazards. Whether you are in the planning stage of your journey or already on the way, Microsoft and Riverbed can help you choose a route that will speed Office 365 adoption and maximize your ROI. •Get on the Microsoft FastTrack. Envision your journey to Office 365, onboard your organization, and drive adoption. •Focus on the End User Experience. Verify apps are performing well from the end-user perspective. Detect and troubleshoot service issues before they affect productivity. •Improve What You Control. Plan for changing network requirements. Use SD-WAN to automatically select the best network paths. Apply optimization techniques to reduce bandwidth needs. Riverbed makes applications, websites, networks, data centers, the cloud, and remote offices work better. We bring the promise of digital transformation to life. A storied company with a long legacy of market leadership, Riverbed pioneered WAN optimization. Since then we’ve expanded our solutions for the software-defined era. We’re at the center of hybrid networking, the cloud, SD-WAN, SaaS, mobile, big data, and infrastructure visibility. In short, we’re building a software-defined architecture for digital business.